Employers want engineering graduates who are job-ready from day one. That’s why Macquarie University partners with companies to give students the project experience and hands-on problem-solving skills they need to succeed. It’s time to think radically about engineering graduates, says Macquarie University’s new Dean of the School of Engineering Professor Darren Bagnall. “We want students who come to university for the experience, not just the grade. We want to produce engineering graduates who provide immediate value to employers thanks to their hands on-experience solving problems and working in teams to complete projects,” he said. The new School of Engineering, which launched in October 2017, is part of the Faculty of Science and Engineering and is aiming to grow rapidly in terms of staff, students and research output in the coming years. “This growth, in conjunction with an increasing level of engagement with corporate and government organisations, will help Macquarie play a big part in alleviating the current shortfall of engineering graduates in Australia,” Bagnall said. The university currently has strengths in electronics, mechanical, mechatronic, software and telecommunications engineering, with plans to add electrical engineering in 2018 and other areas to follow in coming years. Engineering has made a significant contribution to Macquarie’s history, with past achievements including the development and commercial application of wifi with Adjunct Professors Neil Weste and David Skellern, and an antenna design by Professor Karunanayake Esselle for ultra-fast point-to-point wireless links supporting multiple bands and standards across the world. More recently, Macquarie has become known for the introduction of the FIRST Robotics program to Australia and its support of the MQ Speed team’s quest to break the land speed record in a human-powered vehicle. The University is continuing to lead the world in wireless broadband technologies, with teams developing tools for the optimal allocation of wireless resources within the electromagnetic spectrum. 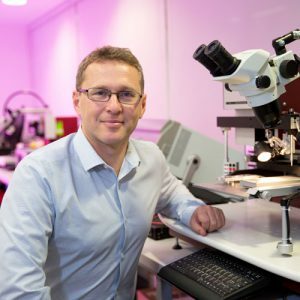 Cross-disciplinary research between the School of Engineering and researchers from the Faculty of Medicine and Health Sciences has resulted in the development of new radiation dosimeters that are able to map a cancer patient’s radiation dose distribution in three dimensions to improve the safety and precision of their treatment. Other research is exploring the application of mid-infrared fibre lasers for applications in medicine, defence and nonlinear optics, with the goal of creating opportunities for increased accuracy and greater sterility in surgery, processing high-precision materials at mass-production output levels, and producing highly stable light sources for free-space communication and sensing. Bagnall believes Macquarie is well placed to attract ambitious and talented students who will thrive – given the right opportunities. 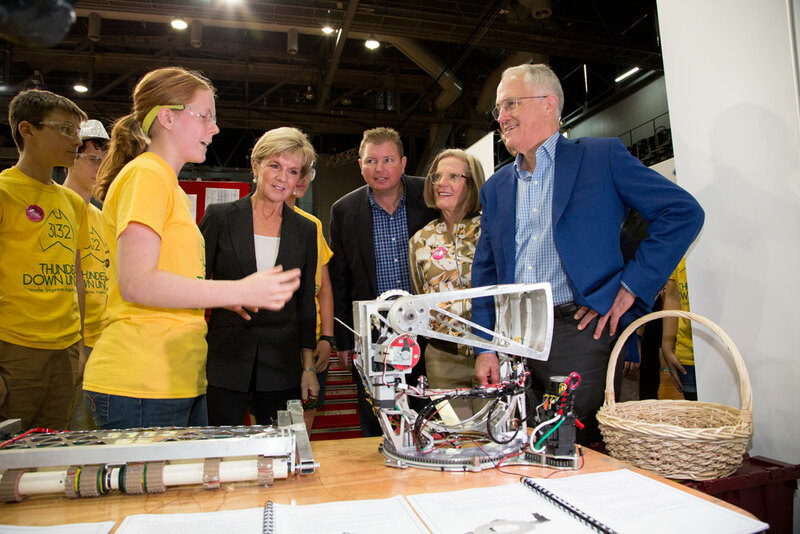 “I’d like to see students have more hands-on experience and more project-based assessment. We need to focus less on what students have memorised for an exam and more on letting them show us what they can do in a real-life situation,” he said. This philosophy is in line Macquarie’s longstanding mandate to ensure its graduates go into the world with practical skills. Its unique professional and community engagement (PACE) program is the only one of its kind in Australia. It gives students practical experience that’s integrated into their course, giving students the work and life skills they need when getting a job, while allowing them to explore their interests before joining the career market. “If you can get industries as partners in education rather than people that we just send students to when they’ve graduated, that will be a very positive experience for everybody,” Bagnall said. The university is located at the heart of the Macquarie Park Innovation District (MPID). Home to Macquarie University Hospital, Macquarie University Incubator and more than 180 large international and 200 small businesses, the vibrant technology park is revolutionising the way collaboration and innovation is catalysed. An industry-led initiative, MPID’s partners include Abbott, AMP Capital, the City of Ryde, Cochlear, Johnson & Johnson, Konica Minolta, Macquarie University, NAB, NSW State Government, Optus and ORIX. Associate Dean, Industry and Corporate Engagement Professor Michael Heimlich said despite MPID launching only in 2016, the give and take between local corporates and the university is already well established. “The biggest program currently underway is the Optus cadetship program, which takes up to 10 students per year,” he said. The cadets start from their first year and become Optus employees. They take classes specified by Optus so that the telco gets graduates who meet their employability criteria. He said that as far as he’s aware, Macquarie is the only university that instead of telling employers what kinds of graduates they would get, asked industry what they wanted. Heimlich said that as well as MPID-based businesses, the university engages with 2300 companies through PACE. “Many organisations provide very high-quality internships to students – internships that frequently turn into job offers after graduation,” he said. Heimlich believes it is industry partners like those in the MPID that are one of the keys to making engineering at Macquarie different. Another Macquarie strength is cross-disciplinary collaboration. “With the growth of the medical school and the School of Engineering’s location within the Faculty of Science and Engineering, there are endless opportunities for collaboration, which at Macquarie flows freely across traditionally rigid barriers including physics, environmental studies, biology, defence and medicine,” Heimlich said. Bagnall agreed, saying that while it is important to be strongly attuned to the evolving needs of employers, as the school continues to grow and invest in innovative engineering research and education they will still be delivering on essential skills. “A new school provides a great opportunity to be bold and grow engineering in a very distinct and innovative way,” he said. Want to learn more about how to make the most of your engineering education? Click here.